Complexity is an enemy and the faster a company grows the harder it is to eliminate it. As companies grow, complexity seeps further into the business at every level of the operation. Executives experience this in spades as they increase revenues, earnings, market share, employee base and product or service offerings. Communicating effectively gets harder and “priorities” tend to grow exponentially as each group and department wants to contribute to the company’s success. And, all too often, internally-focused issues start to dominate the leader’s dialogue. Amid the chaos that can ensue as a business grows, it’s wise at that very tumultuous time to renew your commitment to a customer-centric and frontline-team focus. Complexity is an enemy and, the faster a company grows, the harder it is to eliminate it. Staying focused on customers and frontline teams will help drive great service, increase customer retention and referrals and, in doing so, help foster and sustain double digit growth. Of course, this requires a continual focus on simplifying some key operational areas. Here are three areas where operations can be simplified with immediate impacts to the organization. Sure, you’re automated, but is it enough? Are you suffering opportunity loss by leaving well enough alone? By utilizing technologies like routing software and IoT sensors, businesses can enable dynamic scheduling of deliveries that boost the bottom line. For example, delivering only when your customers need it, enhancing that service touch point, also eliminates administrative costs and management concerns from customers while helping drive efficiencies for all involved. Simplicity for drivers in their route can be readily delivered from the moment they arrive to work through an easily deployable smart phone app. This can allow your operations management team to check on each driver’s progress and proactively contact that person when needed. The same principle can be applied to service technicians, warehouse personnel or whatever department is applicable for your business. In my experience, this kind of IoT-driven innovation can cut the complexity of routing even 500 or more vehicles involving nearly 80 managers to less than 10 routers. By utilizing these and other such automation solutions, my own company’s 80 field managers have freed up roughly 400 hours per week to focus customer-valued activities, and our drivers and technicians get clearer directions with reduced windshield and downtime. As a manager you’ve surely researched your customers’ needs and have determined what your customers value. But does every single person on your sales team know, and what are they doing about it? By not just determining what your customers see as your strength, but actively utilizing that key learning to simplify and redirect your sales team’s focus, you can best assure your operation will be catering to the things your customers value the most. The inevitable result is accelerated growth. With this kind of customer profiling, the sales team can streamline its prospecting and business development activities and shorten the service or sales cycle. To optimize this effort, it’s paramount to use an integrated marketing and customer relationship management (CRM) software to improve information flow across your sales team and the management hierarchies above. CRM software is an important tool but must be paired with a crisp customer strategic plan and real time customer service reporting. This combination will enable your sales teams to deeply understand your customer relationships and their unique needs. My firm discovered this CRM-based processes helped our own service teams realize keen insight into how we are meeting their needs and enabled the development of internal metrics of our own performance. With this data, our sales and service teams spend value-added time selling or servicing and less time researching and strategizing. Outside-in thinking really starts out as an art, but the best organizations turn it into a science. Outside-in thinking really starts out as an art, but the best organizations turn it into a science. The idea is to use a biased point of view on the customer and your frontline teams. This is a deliberate cultural change that needs to grow into the norm, resulting in a significant influence in your investment decisions. Things like continually reviewing workflows and business processes, making decisions to centralize the management of your distribution points, and continually upgrading your distribution and service routing and scheduling can free up local managers to focus on their teams and customers by reducing internal controllership and administration responsibilities. An effective way to do this is to create national account customer portals to enable self-service research, share references and post requests. Have detailed onboarding training for each new employee to include exposure to front line operations and customers. As your IoT capabilities expand, work with your customers to define what data helps simplify management, improve profitability, produce a better product and create a safer environment. When complexity seeps into a business, it can cloud decision making. Internal issues and minor departmental priorities sap a manger’s time and attention, reducing the investment in strategic thinking and mission-critical external planning. To offset this tendency, you must deliberately shift your thinking to instead focus on your customers and front-end employees. This is a controlled decision everyone can make and that every manager can drive into their business culture. In short, simplicity is a “will” thing, not a “skill” thing. Customers and frontline employees require fanatic focus if companies are to be simpler and nimbler. In today’s fast-paced environment, the enduring pursuit of simplicity is not optional. 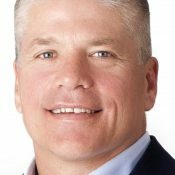 With more than 25 years of senior leadership experience, former GE executive Jeff Kiesel is CEO of Restaurant Technologies, Inc., a technology innovations-driven company making the restaurant and hospitality trade safer and smarter and, in doing so, more efficient and profitable.